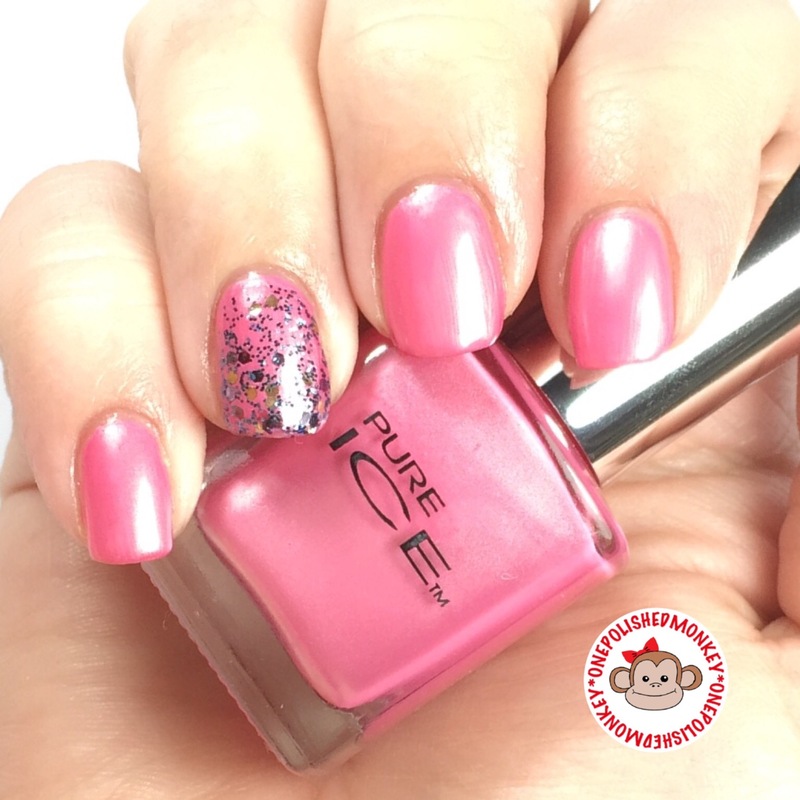 Pure Ice is a brand that I haven’t worn in awhile so I wanted to give them some love. 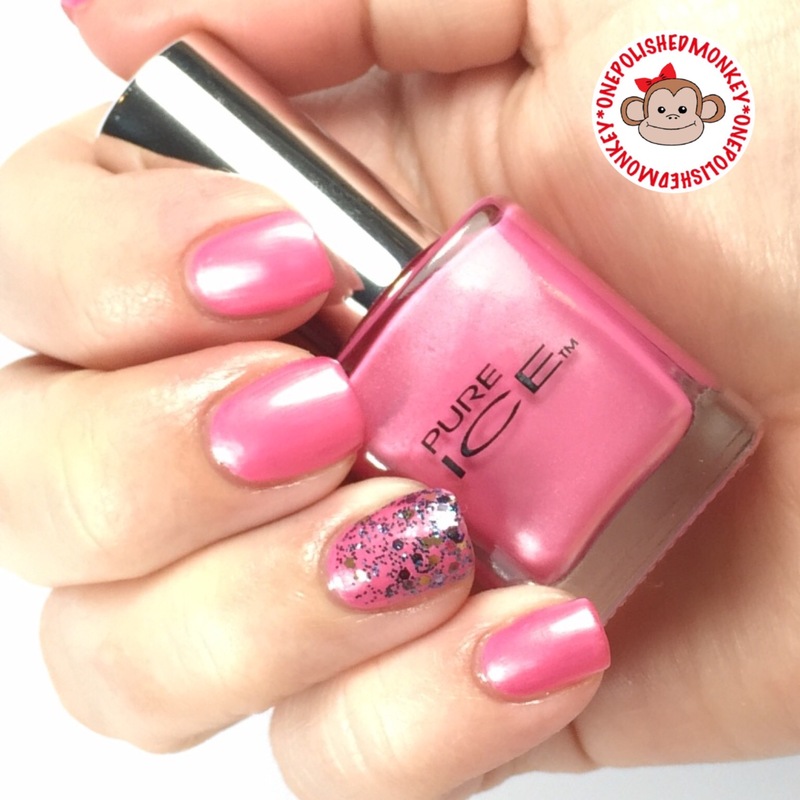 Most of my Pure Ice polishes are pink so I didn’t have a huge color selection. Its not a brand that I really take notice of when they release new collections. It was only recently that I realized they had collections. 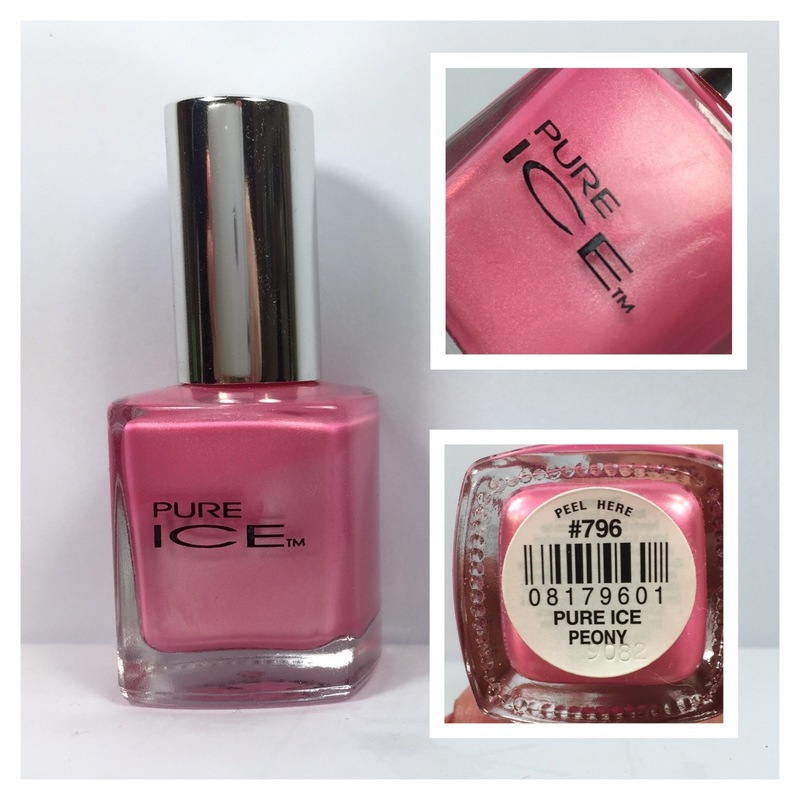 Pure Ice Peony is a frosty pink and one that I’ve had for a long time. 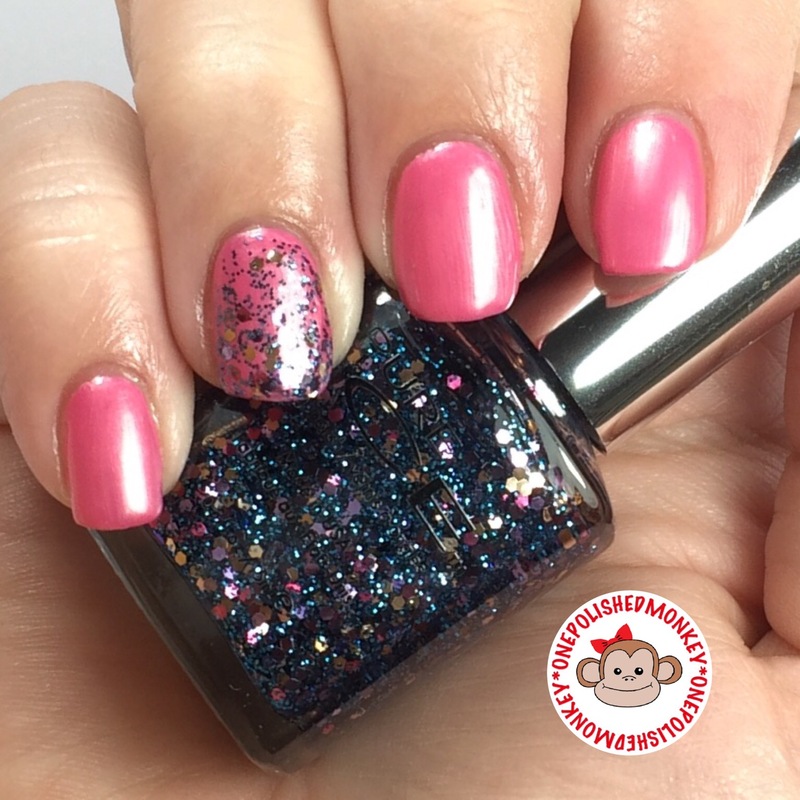 Some may consider this a Barbie pink. 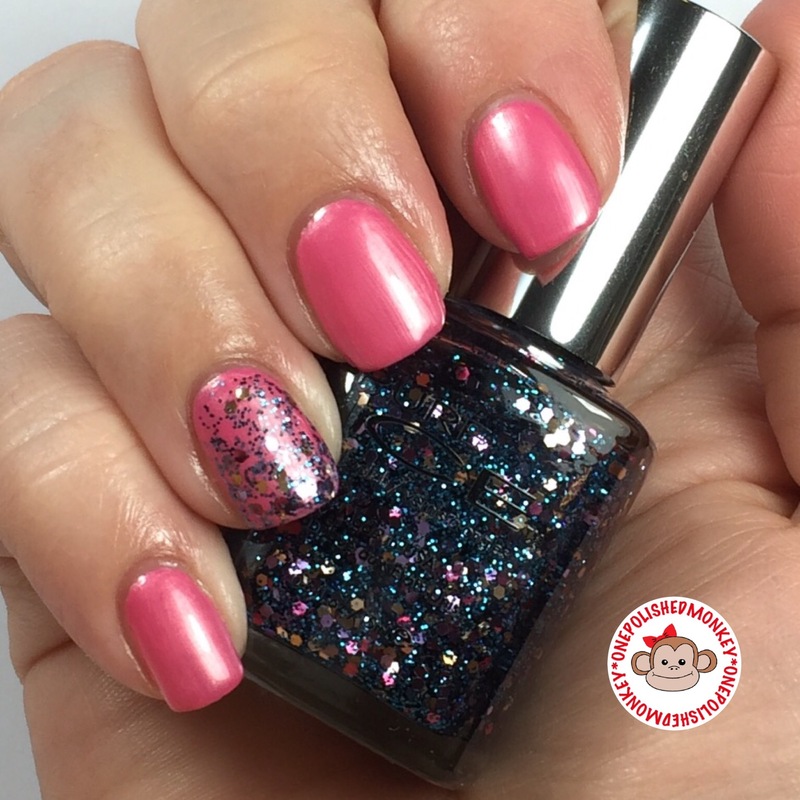 Two coats and this polish is opaque but it leaves you with brush strokes even after the polish has dried. 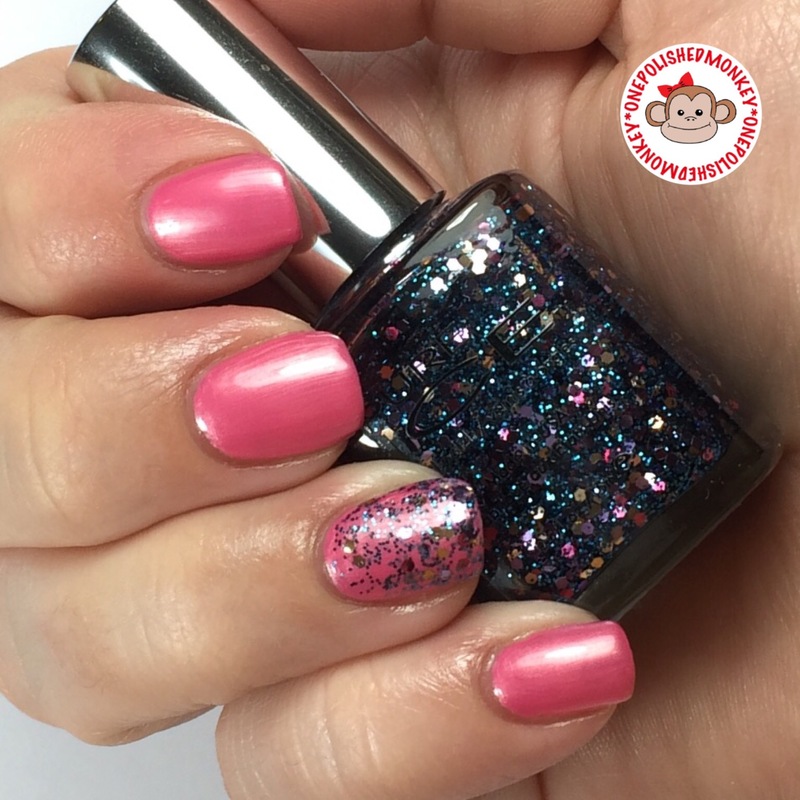 Pure Ice Never Satisfied is a clear based glitter polish with shifting dark blue to aqua small glitters with purple/pink/gold larger glitter throughout. 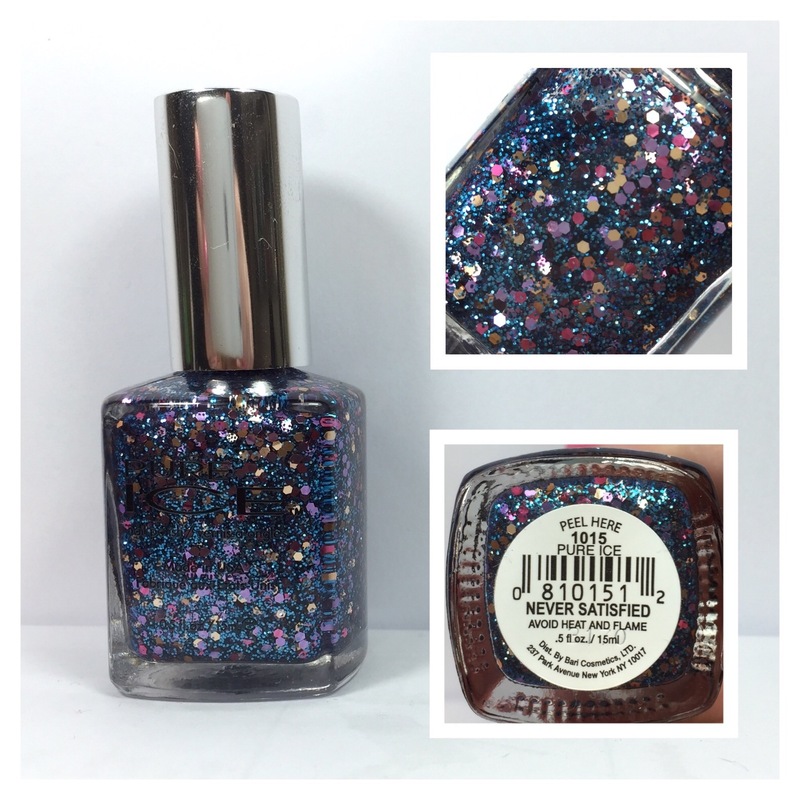 This polish coats really well and I had no issue pulling any of the glitters out of the bottle with normal application.